I’m having a hard time keeping my head above water lately, hence the silence. Plus things go so fast, I just don’t have the time. Anyway. I let out some of the steam to a few people here and there when I can’t hold it back. Good friends only. 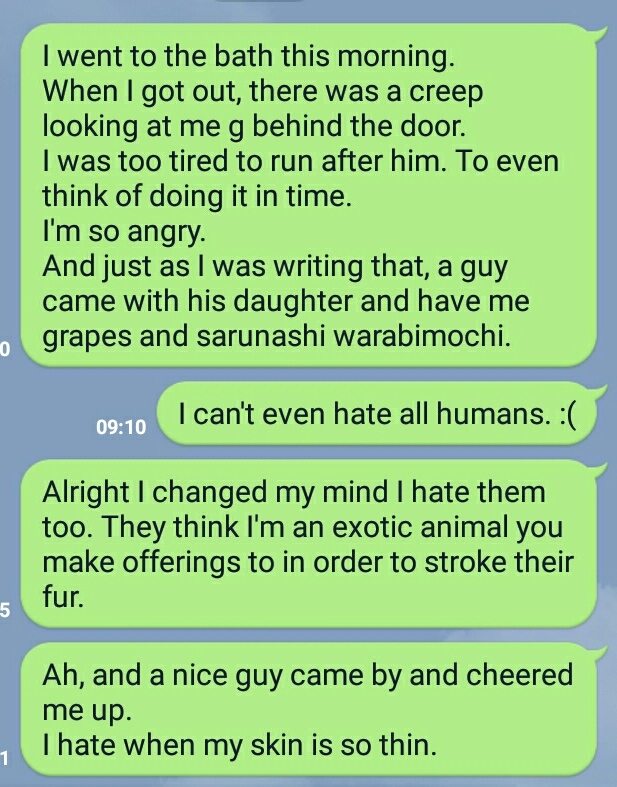 Most times I manage to ignore people roaming by my tent a bit creepily to have a look at the crazy gaijin, but lately, today, it’s just too hard. Some just come and stand 5m away, trying to not get caught staring when I look up. -.- You’re not fooling anyone mate. Hate being the blond-blue-eyed-single-camper-motorcyclist singularity everyone HAS to have at least approached. Well. If there’s one good thing coming from that it’s the extra empathy I’m gonna have with everyone who is “the one different” in any group. I guess. When it’s not me, that is.